First shots offer a nice glimpse into the latter portions of the production process when a figure is nearing full production status. The Yak Face head and arms shown here represent nice artifacts from this stage. 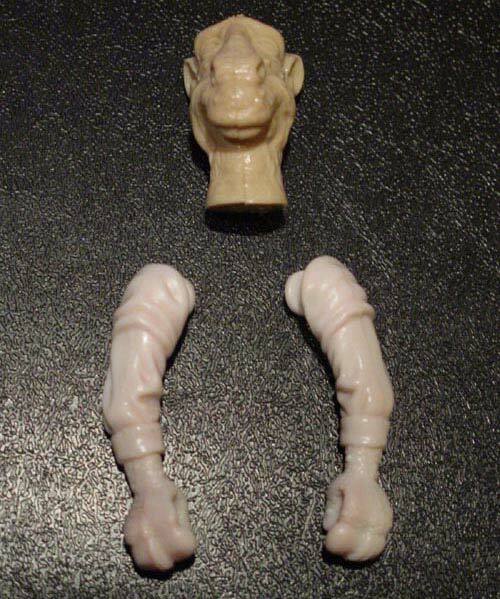 As you'll notice, the head is cast in a different shade of plastic and the arms are cast in a totally non-production white color. Here's a close-up shot of the first shot head next to the production figure's head to illustrate the color differences. The lack of paint on the eyes is also noteworthy. 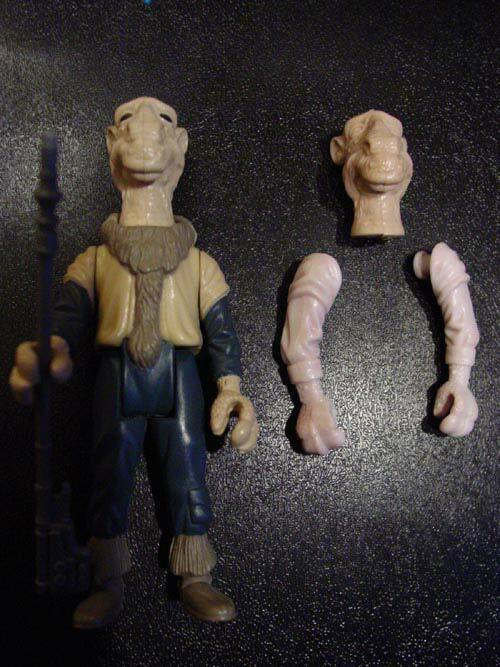 The photo above compares the first shot pieces to the production figure located on the left. 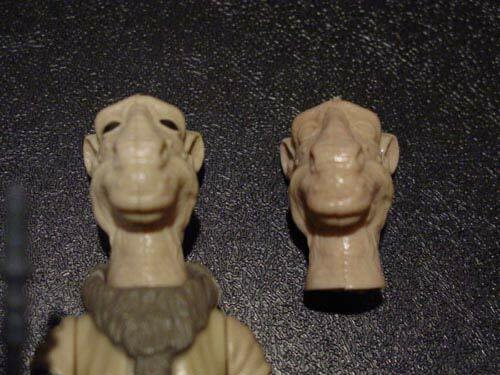 Scoring prototype parts such as these for a legendary character like Yak Face is quite an accomplishment. This is just one of the many fine prototypes Mike O'Reilley has showcased on the Archive from his collection.